We are planning for another amazing fair in 2019. The dates are August 15th-18th so mark your calendars! We have some great shows planned for this year. We also have the ONLY horse racing left in Minnesota at any County Fair! Our barns are full of animals and friendly folk. We also have a Oval, Figure 8, DEMO AND tractor pull . We, as Fair officials, are very proud of our 4H! What a fabulous group of kids we have! 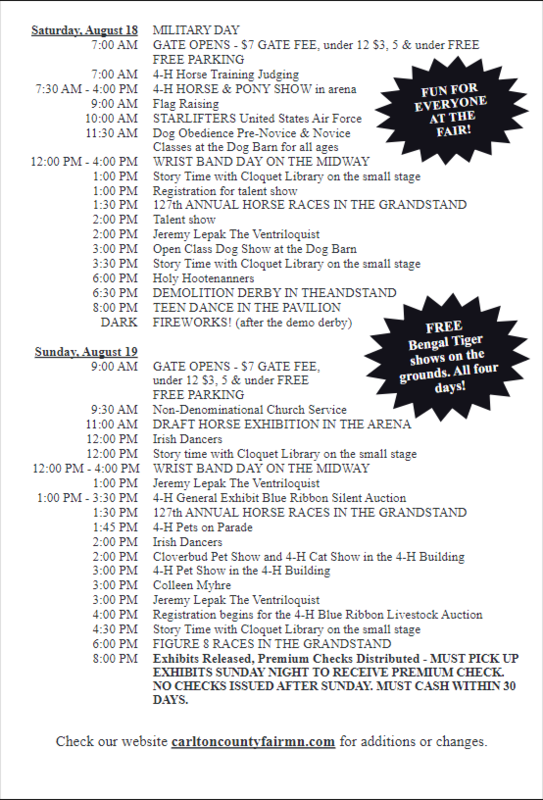 So come check us out and enjoy an "OLD FASHION FAMILY FUN FAIR"! 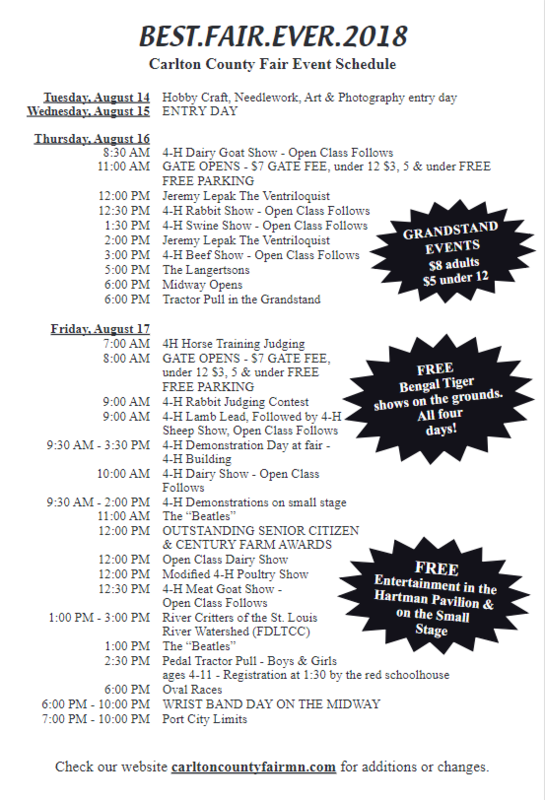 Welcome to the 129th Carlton County Fair! Stipe Shows will provide the midway. This is quality family entertainment at its BEST! Other entertainment in the Hartman Pavilion. Military Day is Saturday – Retired Vets get themselves and spouse in for free. OUR BOARD MEETINGS are the 2nd Thursday of every month EXCEPT November, December & January. FAIR DATES: Our Fair is held the third weekend in August, Thursday through Sunday.